Innovative Finance Individual Savings Account launched last year, and for investors who enjoy alternative investments, such as Peer-to-Peer lending, it has been a great way to shield returns away from the tax man. 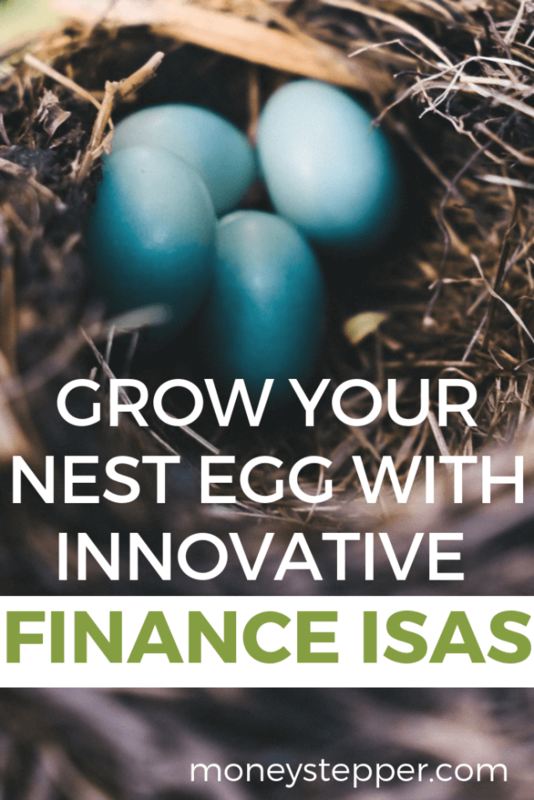 Just the way a Cash or Stock and Shares ISA works, Innovative Finance ISAs, or IFISAs for short, allow you to invest without paying capital gain tax on the earnings. For the tax year 2018/2019, you can invest up to £20,000 in your IFISA. A few things to note though. If you have already funded a Cash ISA with £2,000 for example, you would only be able to invest £18,000 in the IFISA. If you invest £5,000 in Stock and Shares ISAs, and then withdraw the money, you would still only be able to invest £15,000 in the IFISA. However, the good news is you can transfer money from previous years that is already wrapped in your ISAs, and start earning greater returns with alternative finance. And greater returns can make a real difference, especially when they come tax free. A site like Just ISA for example offers a rate of return of 8% pa. That is up to six times what you could get with a traditional cash ISA. Obviously, when there is a greater reward, there is a higher level of risk. So you should only invest money you wouldn’t need for the mid to long term, and money you could afford to not recoup entirely should something go wrong. In the case of the Just ISA, you are investing in a litigation funding ISA, which means the funds help people who don’t have the means to take large corporations to trial to be able to do so. You are technically investing in justice. The minimum investment is £2,000 and comes in the form of a 5 year bond. Their success rate for the tried cases has been 90% so far. The bonds are secured on the assets of the company, and they pay a fixed rate over the life of the bonds. This is just one of many examples of how you can diversify your portfolio, and aim for greater returns, while keeping such returns away from the tax man. ISAs are one of the best options around to watch your investments grow tax free. The allowance is pretty generous, compared to what other governments offer in other countries. £89,299 at 6% pa interest rate, which is pretty common for a stock and shares ISA. £29,093 at 1.5% pa interest, a typical cash savings account rate. Two lessons here, interest does have a HUGE impact on your returns! We are talking about the same £20,000 lump sum, invested and forgotten about for 25 years. No additional payments were made in any case, yet a 8% rate of return allowed the investor to get almost five times more money than the cash return of 1.5%. And, because all of this was neatly wrapped in an ISA, the nearly £120,000 in extra interest is TAX FREE! If you are in the 40% tax bracket, the government just gave you an extra £30,000, no questions asked. This is the power of ISAs, and why every tax year, you should put the maximum amount of money you can into it, and let it grow tax free. If you think you might need the money soon, you can put it in a cash ISA and withdraw it should you really need too, knowing it can’t go back there, ever. But if you can afford to, putting your higher interest investments into an ISA is what will really make a difference over the long term. Where should you put your ISA money?